The Last 3 Feet Playbook helps improve experiences in the retail domain. 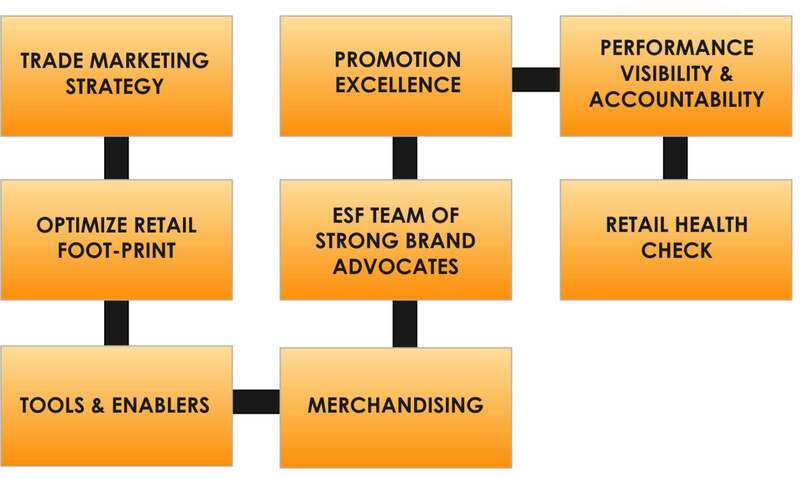 It allows for holistic approach at the retail front which in turn optimizes businesses. The learning from this playbook helps formulate an action-oriented trade marketing strategy to ensure proper alignment between investments and initiatives. It also enhances brand presence by analysis of key shopping hubs, store landscape and customer footfall. Our strategies ensure to establish best-in-class retail operations to optimize store footprint, elevate in-store experience to attract, engage, improve conversions as well as manage effective product launches.